New research from AAA reveals that driving on relatively worn tires at highway speeds in wet conditions can increase average stopping distances by a staggering 43 percent, or an additional 87 feet — more than the length of a semi-trailer truck — when compared to new tires. 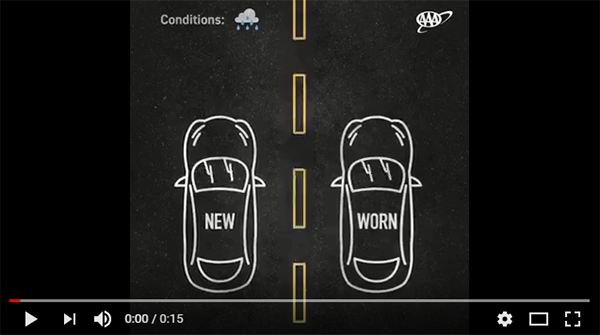 With nearly 800,000 crashes occurring on wet roads each year, AAA urges drivers to check tread depth, replace tires proactively, and increase following distances significantly during rainy conditions. In 2017 alone, AAA Carolinas Emergency Roadside Assistance responded to 135,910 calls in North and South Carolina regarding a faulty tire – which is 13.47 percent of their total calls. 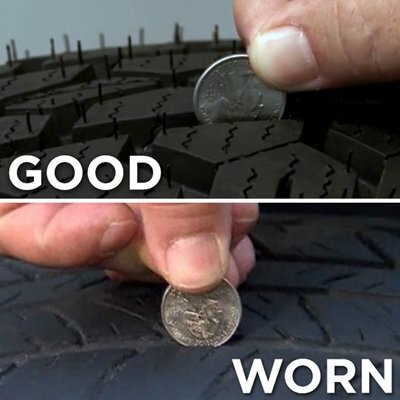 You can test your tires at home by slipping an upside down quarter between the grooves and look at Washington's head, if you can see all of it, you need new tires. If tested side-by-side at 60 mph, vehicles with worn tires would still be traveling at an alarming 40 mph when reaching the same distance it takes for vehicles with new tires to make a complete stop.